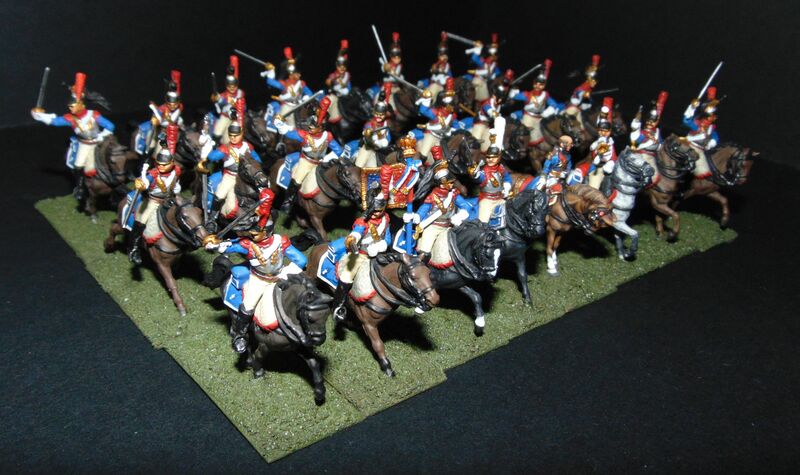 Hi Friends, Napoleonic soldiers again Tabletop quality, simple bases - they have to match to other units. Not sure what "tabletop quality" means. 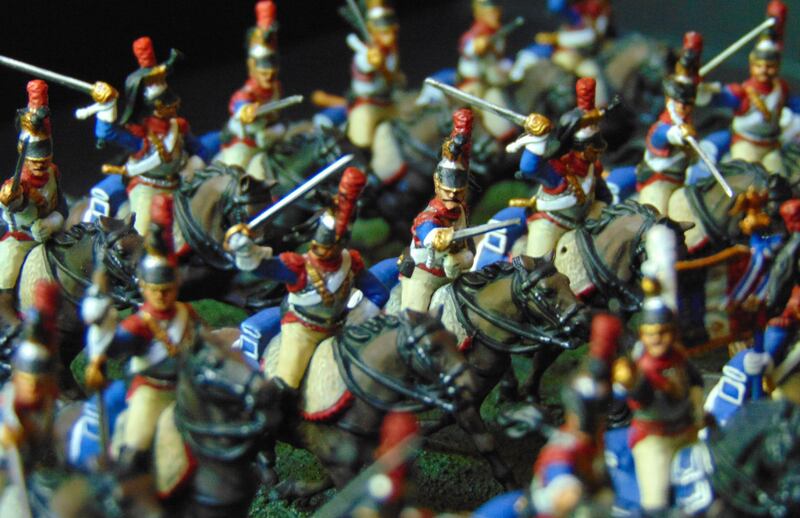 Your cuirassiers and their commander look fantastic! In my painting scale Tabletop quality means just simple painting: base colours, one shade highlighting, no washes or smooth transitions between colours etc. Those figures are dedicated to wargaming, not to display them in showcase (maybe excluding Davout) But even in this case, I'm still trying to be accurate with my paintwork. Splendid indeed good Sir. I hope you do well with them. 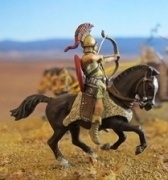 One can never have enough good looking cavalry on the table. It is always good to see nicely painted Zvezda figures. Extremely well done. But the flag looks strange to me - the blue field should be on the side of the staff and the red on the fly, isn't it? 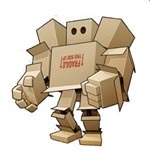 These are at quite a high level of table top quality I think. They look very smart. And very impressive in formation. He's very nicely painted too, very nice detailing of his gongs and gold lace and the horses socks. Tabletop quality? Great quality, I say! 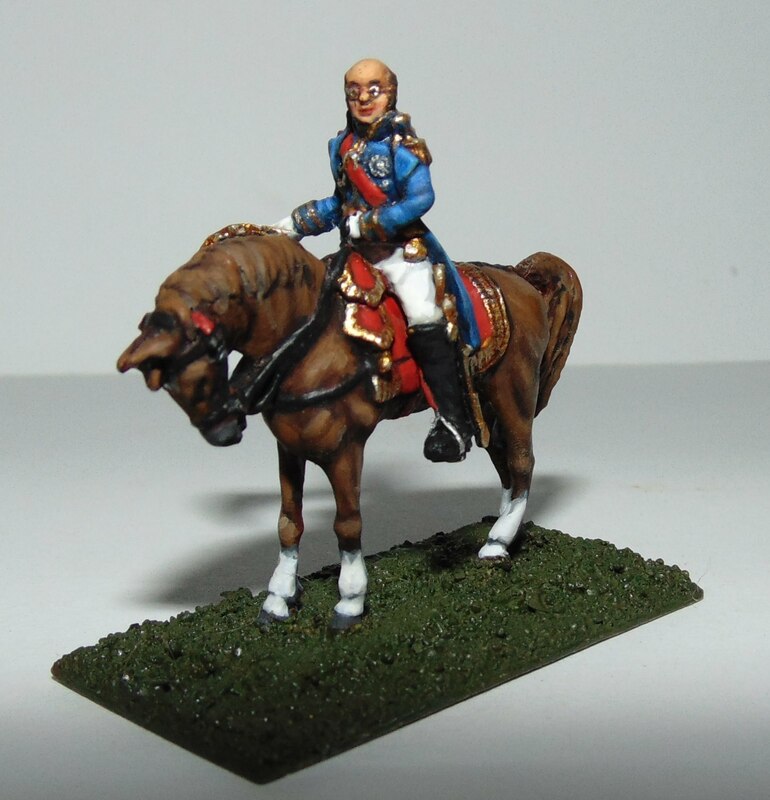 Zvezda's cuirassiers are really lovely set and your careful painting shows off the quality really well. I particularly like your horses which are really fine too. 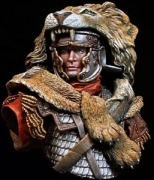 Davout is a great character, well painted. The face is excellent.